Industry analyst authority HfS Research has today announced a strategic partnership with leading Robotic Automation software company, Blue Prism to develop the first automated analyst prototype. HfS has been conducting some major research studies into the emerging trend of Robotic Process Automation (RPA), which is threatening to revolutionize the IT and business process outsourcing world by mimicking and automating repetitive back office tasks such as order management, accounts payable and employee performance management. As HfS was developing its research findings, the firm's research leadership started to realize its own research processes could potentially benefit from RPA and approached Blue Prism to prototype a beta-robot to produce the first ever automated analyst report. "Developing new research on an automation platform could be the new game-changer in the world of research and analysis", commented HfS Research CEO Phil Fersht. "We've been searching for a while now to break the linear growth cycle of the research industry - that is hiring human analysts everytime we need to cover new research areas for our clients. Being able to leverage the capabilities of a world class automation platform like Blue Prism will enable us to become thought-leaders in whole new corners of the market without adding stifling incremental costs to our research delivery." As part of HfS and Blue Prism's first pilot Robo-Analyst project, the development teams have been able to produce the first Robo-Quadrant in the area of "Digital Transformation". Commenting on the project, Fersht added, "We have been blown away by the results - we programmed the robot to trawl vendor websites and create complex algorithms based on their usage of technical terminology. Essentially, the more they used terms such as 'Big Data', 'Transformation', 'Digital Solutions', 'Social Media' and 'Cloud', the further the robot moved their position over to the right of the quadrant. Then we created an API to our accounting system, and based on how much the vendor was spending in proportion to its competitors, the robot proceeded either to raise the vendor performance towards the upper-right corner, or lower it in the direction of the lower-left. Then we checked the results with the same quadrant being run by one of our human analysts and the results were a 97% match". After the initial success of Robo-Quadrants, HfS is quickly turning its attention to the use of Robo-Analysts directly with its clients. 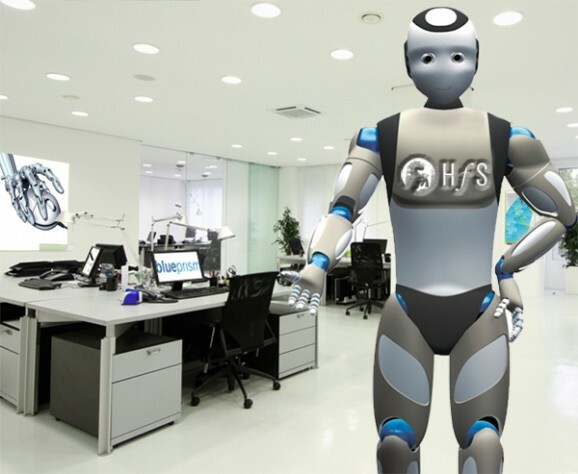 In order to minimize any risks to its key client relationships, HfS has been soft-launching its first client-facing robo-analyst in Australia, which has resulted in the creation of Robo-Analyst Clive, who has already been working with a series of local clients. Commenting on Clive's recent performance, Blue Prism's CEO Alastair Floodgate personally sat in on a recent telephone briefing between Clive and a local provider of technology services. "I was amazed at how well the briefing went - we'd pre-programmed Clive with phrases such as 'you are simply wonderful - clients will be thrilled by your outcomes, mate' and 'its so refreshing to hear an original value proposition that genuinely differentiates you from your competitors'. However, it did get a bit weird when the provider asked Clive out for a drink - we'll need to work on that aspect." Based on the success of Robo-Analyst Clive, HfS and Blue Prism are planning to roll out a series of Robo-Analysts across the globe, including Robo-Analyst Grace for China, Robo-Analyst Hank for North America and Robo-Analyst Gary for the UK. They are also experimenting in the sourcing advisor market, and have a Texas-accented Robo-Advisor call Rate-card Rick in the works. And that's why I love HFS. You are the only folks in the industry brave enough to do this today. 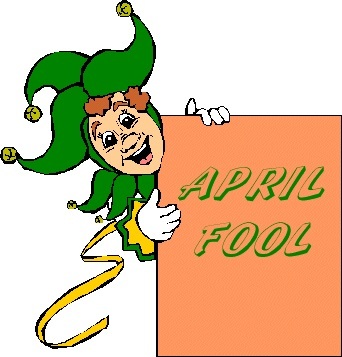 You coudn't have picked a better date! And this is seriously funny, as opposed to all the Pokemon talk and what not. Hfs does it again! The automation seems to mirror standard human performance by most industry competitors perfectly. Marry it with robo-calling competitors and then replaying the call to other competitors and you have your next step of automation.